Owing to its complex anatomy, the knee joint is particularly vulnerable to injuries, wear and tear (degeneration) and arthrosis (joint disease). The choice of therapy depends on several factors. 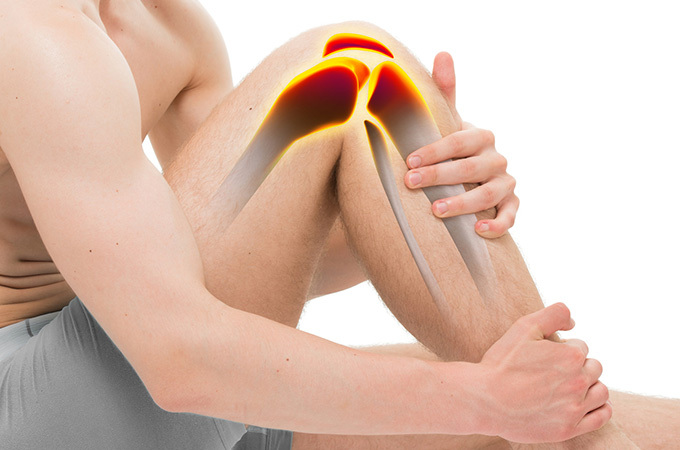 In the first instance, the individual requirements of the patient and the extent of damage to the knee joint are decisive. Dr Knipprath has extensive experience, having performed more than 4,000 knee replacement operations, thus ensuring utmost safety and wholly successful outcomes for his patients. Optimal therapy requires a detailed medical history and a precise diagnosis, according to which Dr Knipprath prepares a treatment plan that is precisely tailored to the patient. If pain in the knee diminishes the quality of life, if mobility is restricted and if the patient expresses a desire to improve the situation, Dr Knipprath advises knee replacement. The outcome of surgery is contingent upon precise fitting of the implant. Highly accurate workmanship that leaves no margin for error, i.e. “precision in perfection”, can be achieved by deploying the latest techniques, such as patient-specific instrumentation, and by using high-quality implants. Dr Knipprath favours using implants made from state-of-the-art, high-tech materials, which, in addition to many other advantages, promise maximum biocompatibility and support the longevity of the joint replacement. Dr Knipprath attaches particular importance to a gentle approach. Wherever possible, he carries out minimally invasive procedures. This not only protects the skin, muscles and ligamentous apparatus, but also accelerates the healing process and reduces post-operative pain. All questions are addressed thoroughly and any concerns are discussed. Arrange an appointment by calling 030 88 70 25 22 or 030 23 60 83 310.